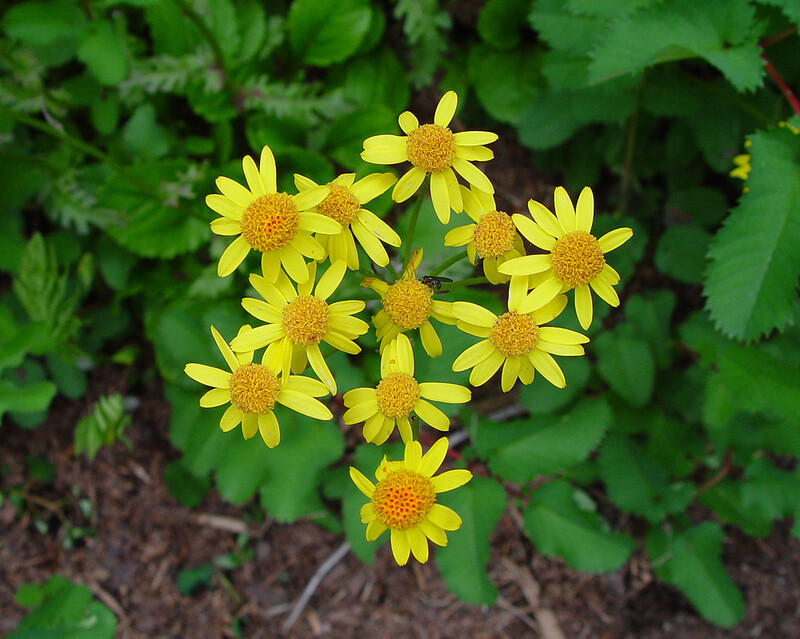 Golden groundsel is abundant in swamps, wetland margins, wet meadows and stream banks throughout New England. 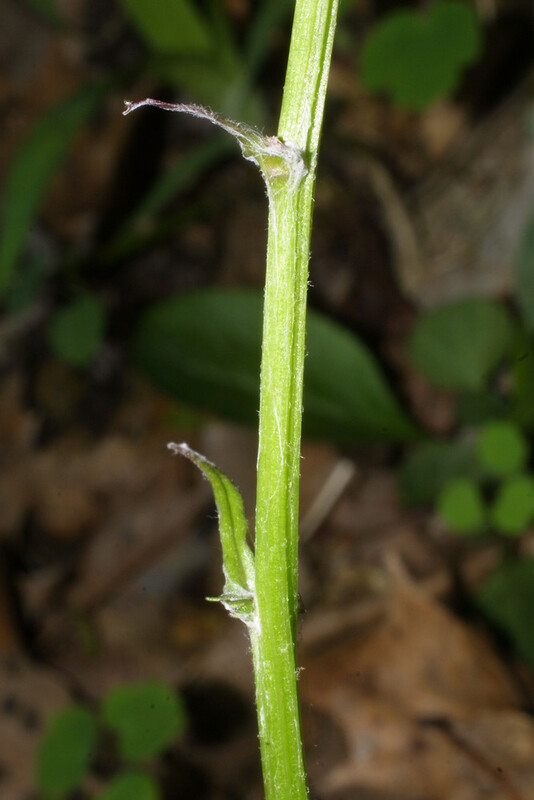 It can reproduce asexually from branched rhizomes or from adventitious shoots. 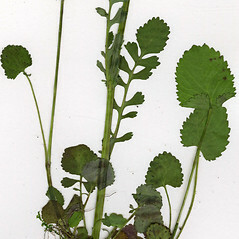 basal leaf blades sharply and finely toothed, rounded to weakly heart-shaped at the base, acute to obtuse at the apex (vs. P. aurea, with the basal leaf blades bluntly toothed, conspicuously heart-shaped at the base, rounded at the apex). 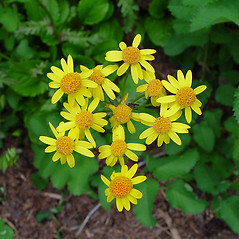 Senecio aureus L. var. gracilis (Pursh) Hook. 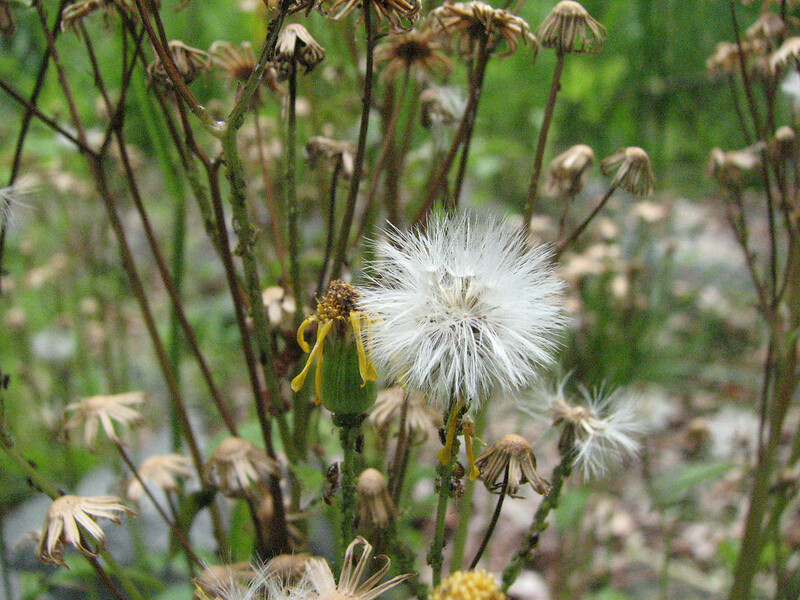 Senecio aureus L. var. intercursus Fern. 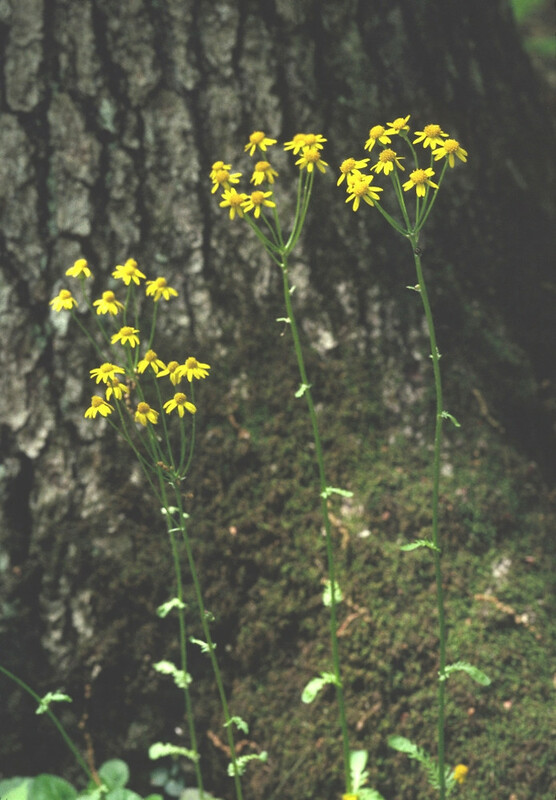 golden groundsel. 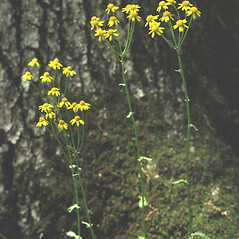 Senecio aureus L.; S. aureus L. var. 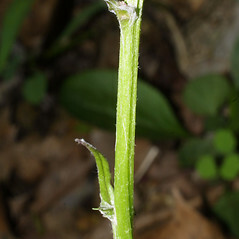 gracilis (Pursh) Hook. 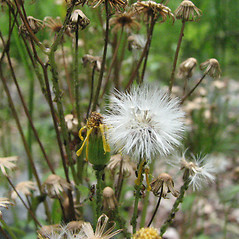 ; S. aureus L. var. intercursus Fern. 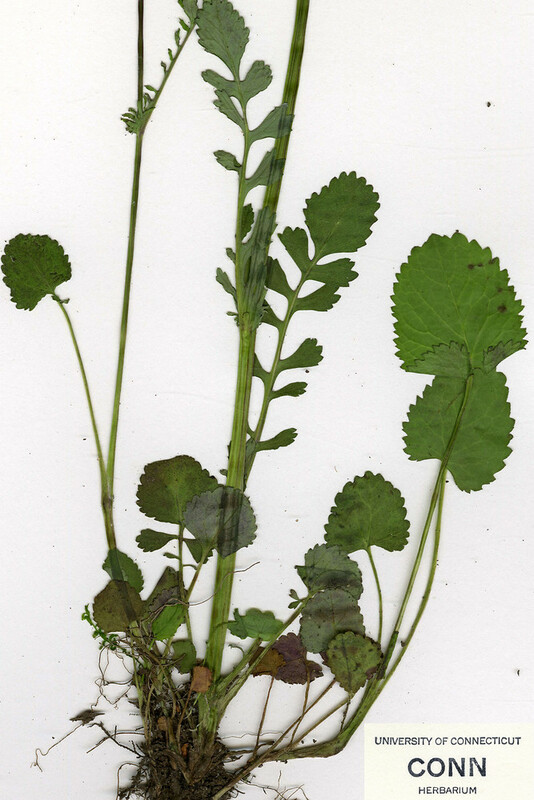 ; S. gracilis Pursh • CT, MA, ME, NH, RI, VT. Swamps, wetland margins, wet meadows, stream banks.